Saturday’s/Sunday’s Bread has been serving free hot meals to people in need in Boston every weekend day for over 30 years. Note: Saturday’s/Sunday’s Bread is currently on hiatus while we move to our new location in the South End. We will be reopening at Union United Methodist Church in early 2016. We will announce the specific date here and through other communications as soon as we have it. 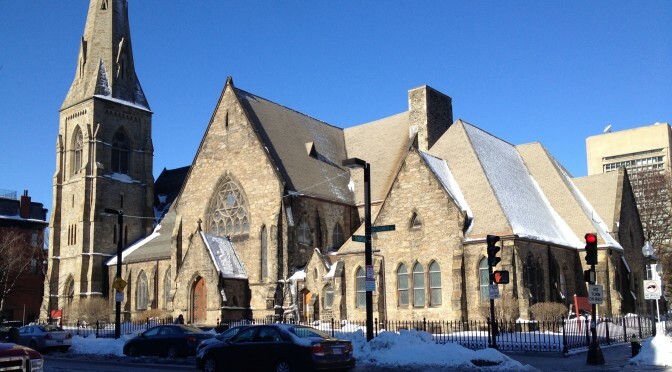 Saturday’s/Sunday’s Bread@Union is a program that serves free hot meals to people in need in Boston every Saturday and Sunday at Union United Methodist Church, 485 Columbus Avenue, Boston. We serve about 10,000 meals a year. Our mission is to provide healthy meals in a safe and inviting atmosphere, free from prejudice or judgment. We ask only that those served, regardless of their situation, join us in perpetuating an environment free of racial, cultural or religious stereotypes. This is a nondenominational activity of people concerned with the hungry in the Boston area. Over the course of its 32-plus years, Saturday’s/Sunday’s Bread has served more than 350,000 guests. Those who partake are served in a dining room setting, eight guests to a table. The meals are hot and nutritious and include fruit juice, a garden salad, a main course, dessert, coffee and, of course, bread; they are prepared fresh on site in the hours before the guests arrive, then served to the tables by volunteers. 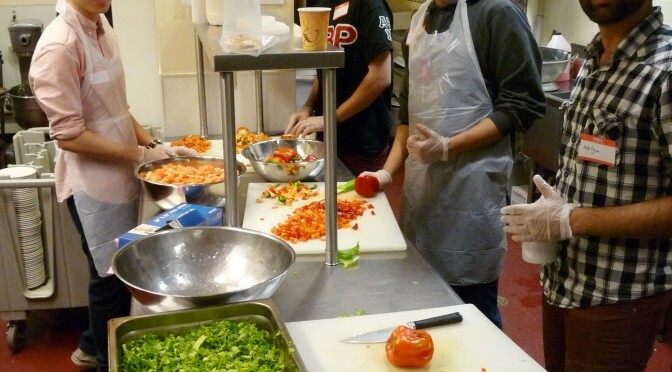 Saturday’s/Sunday’s Bread@Union is an entirely volunteer organization. Our all-volunteer Board of Directors handles all the planning and business aspects. We have no paid employees. Instead, we depend on people of good will who give of their time and efforts to make a difference. All work is done by volunteers from dozens of organizations from all over the Boston area. The list includes churches, temples, college and university students, fraternal organizations, businesses, alumni groups, the military, young adult and singles groups, and individuals who volunteer through online signups such as Boston Cares, One Brick Boston and Boston Volunteer. Each Saturday and Sunday, teams of people meet at Union United Methodist Church, 485 Columbus Avenue. Shifts run from 2:00 PM to 6:00 PM Saturdays and Sundays. The work includes table setup, food preparation, greeting our guests, meal service, and cleanup. All the food and supplies are on-site in advance and a Kitchen Executive – an experienced and specially-trained volunteer – oversees each day’s operations. For full details, see our For Volunteers page. All volunteers must be approved in advance, by group or individually. For management efficiency, most of our volunteers participate through organizations they belong to (religious, fraternal, alumni, etc. ); however if you would like to volunteer as an individual on Saturdays, please contact Richard Wheeler (see below). To learn more about a typical day at Saturday’s/Sunday’s Bread, view a short video, created by BU journalism grad student Melanie Morris in 2012.